Nova is proud to announce that our Westville location is now Elite Support certified. The Elite Support goal is to deliver unmatched customer service and efficiency every time a truck comes in for maintenance or repair. The ultimate goal of the Elite Support is maximizing vehicle uptime. Nova’s goal is to have your repair completed within 72 hours of being started after your initial Express Assessment. Our technicians receive continual training from the experts at Freightliner and Western Star. We focus on a solid understanding of all vehicle systems and have access to the latest tools to expedite repairs. Nova even has invested in an in-house Dealer Trainer, Randy McRoberts to focus on technician training. To maintain these high standards, Nova employs a Continuous Improvement Coordinator at each dealer location to focus on meeting the 135 specific criteria across 22 customer service areas. All Elite Support dealerships must be recertified annually to ensure you experience a consistent, higher standard with every visit across our locations. We understand your need for on-hand parts availability to get you back on the road quickly. Our data-driven stocking program, ensures that the parts you need are never far away. We know that when we service your vehicle, we’re servicing your business. 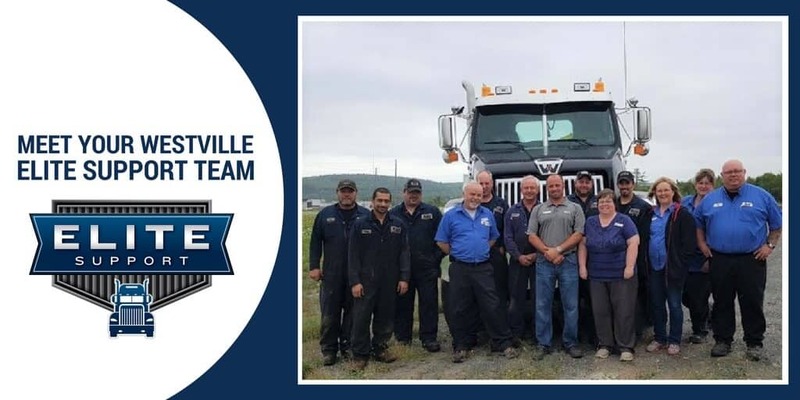 Our facilities are designed to minimize downtime and provide a comfortable environment for drivers as we work to get your truck back on the road. That’s why we’ve created Driver’s Lounges at all our locations. Our Dartmouth location is also an Elite Support dealer and we are currently undergoing changes to our Truro location in order to become certified within the next year. If you have any feedback on how we can improve your customer experience, we’d love to hear from you.